Bottles & Ice has an array of bar rentals to choose from, including this custom built trailer from Yes! Cocktail Co. We named these lovelies after our grandmothers because they’re beautiful, strong, and a little bit sassy! Geometric interior patterns, wood details, and clean lines elevate your bar to a fresh vintage vibe. This custom bar trailer is 10’H x 12’L x 7’W and weighs approximately 800 lbs. Equally at home in a barn or a ballroom, Margaret is versatile, classic, and clean. This custom built bar is 4’H, 7’L, 3’W. 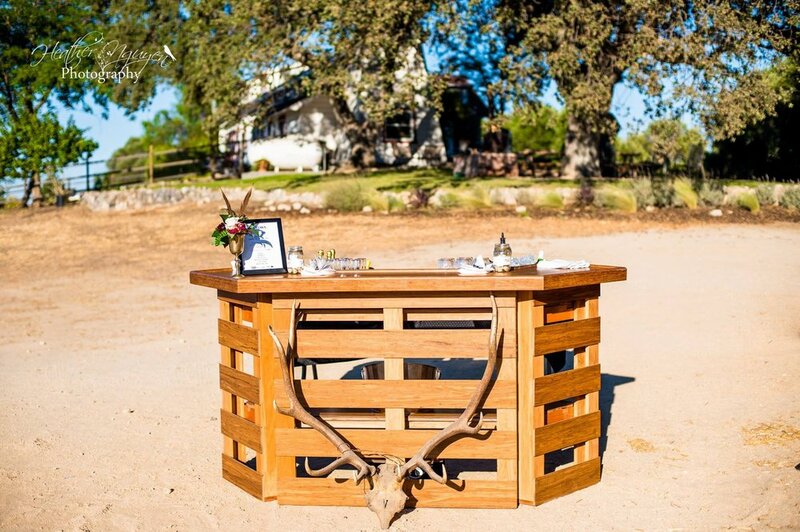 A combination of textures and material, Georgia is the perfect addition to your rustic celebration. This custom built bar is 4’H x 5’L x 2’W.